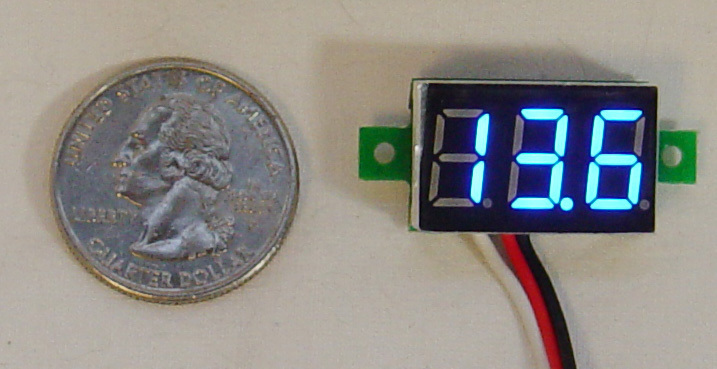 The Surmen DC Digital Voltmeter is a low cost way to measure DC volts in the range of 3 to 30 volts. The refresh rate is 500mS. Error is 1%. Size is 24x15x10mm. The digits are 0.36 inches high. 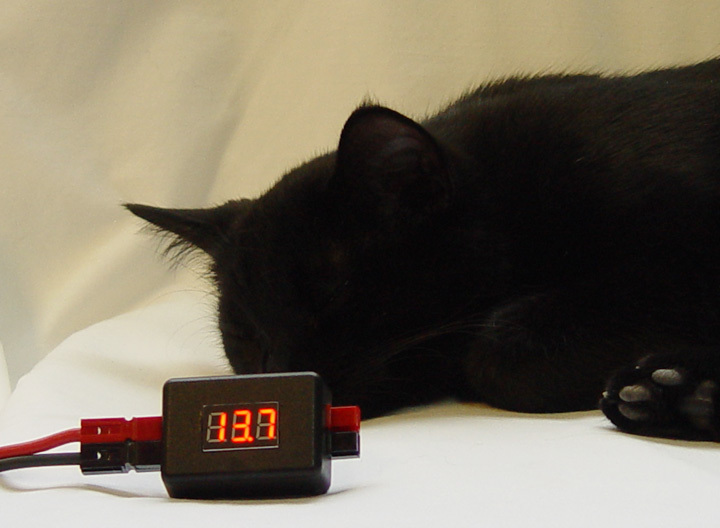 Black Wire: DVM Power "-" and Sense "-"
To measure voltage from a power supply, short both the white and red wires to "+". Please note that this DVM does not include any mounting hardware.